Finally. An Accurate Activity Tracker. No matter how fast or slow you walk. Sensoria Walk allows you to track your steps, time and distance on a daily basis. You set independent goals on each metric you want to track and monitor your progress. A 2013 research study published by the Mayo Clinic found a direct correlation between activity and faster recovery time. Sensoria Walk delivers more accurate and actionable data for patients to track and evaluate their rehabilitation progress. 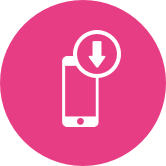 Sensoria Walk features an intuitive interface that highlights a user’s progress history, goals, total activity time and other detailed analytics. 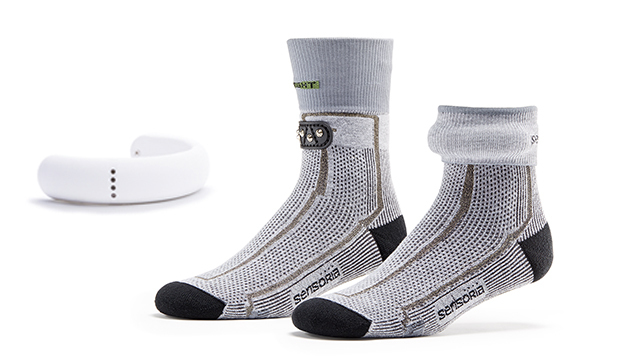 Sensoria’s textile pressure sensor technology is infused directly in its smart socks which connect via a Bluetooth enabled anklet. Sensoria Walk is now available for iOS download in the App Store. Sensoria Walk makes your smart socks that much smarter. Download the Sensoria Walk app to your iPhone. 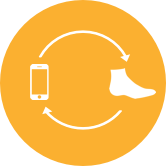 Wear the smart socks and wirelessly connect your iPhone via Bluetooth. Go for a stroll and let Sensoria Walk and the smart socks do the rest. Start rehab the way you deserve. “Sensoria will open the pathway for advancement in numerous clinical fields, such as rehabilitation medicine, fall prevention in geriatrics, and precision therapy for neurologic conditions like Parkinson’s or multiple sclerosis.“ Dr. Justin Schram, MD, MSc.